Mark is a Client Executive in the Property and Casualty practice at Gibson. He specializes in identifying business, strategic, and hazard risk exposures. Mark consults with clients to develop and implement strategies to effectively and efficiently grow and protect their businesses. 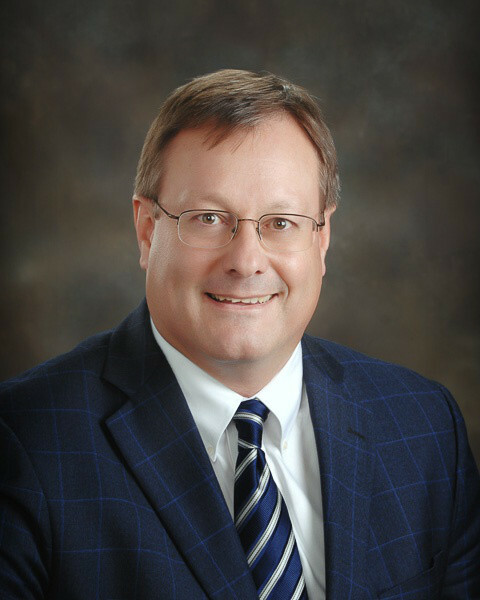 Mark’s professional career began in public accounting where he gained valuable experience in the manufacturing, healthcare, real estate management and development, service organizations, and recreational vehicle industries. He was heavily engaged in succession, estate, and gift tax planning. In addition, he was active in medical, construction, estate, and recruiting groups. His accounting experience and entrepreneurial spirit led Mark to establish two retail pet stores. As a result of his success, he also established a wholesale operation servicing other privately held pet operations. The wholesale company offered a successful marketing concept along with client’s needed inventory. After selling the business Mark began his insurance career in 2002 with a national direct writer of property and casualty insurance. He gained experience with reviewing insurance programs to understand the impact on businesses. Mark moved to an agency in 2008 to focus on risk management. His concentration shifted from a review of insurance programs to engaging organizations in a conversation about how their business model addresses risk. The opportunity to join Gibson in 2012 was a natural fit.